This Christmas marks the 3rd holiday season I have spent with all of you here at PotPieGirl.com – wow, time sure flies, doesn’t it? Each of you long-time readers have shared marriages, graduations, family vacations, births…and even sad losses with me. And now, we celebrate another Christmas. I’d like to take this moment to wish each of you a very happy and very SAFE holiday season. Please, turn off the computer and take time for your family and loved ones. I can promise you that ‘work’ will still be there when you get back. Trust me, I know how hard it can be to put work to the side, but it is absolutely one of the best things you can do for yourself AND for your business. We work in a business that is running wide-open 24/7. The internet never closes. Because of that, it can be a real challenge to make ourselves stop and take a break. We all need breaks…and we all deserve breaks. I’d like for all of you to have a relaxed and peaceful Christmas AWAY from the computer and work and all that stuff that absorbs our thoughts day after day. No matter how bleak your personal situation might feel at this moment, Christmas is not the time to think or dwell on those things. There are much more important things in life than click-thrus and hoplinks, traffic and back links, ranking and SEO. Please choose this time to be thankful and reflective on what is GOOD in your life. And I hope you will each join me in doing just that – starting with turning off the computer…and closing the office door. Everything will be right here when you get back. A quick personal note to Anne. If you’re reading, I want you to know that I received your beautiful thank you note in the mail the other day. It touched me beyond words and it hangs on the wall in my office as a reminder of why I really do what I do. Chin up, girl…. you’re gonna be just fine! To everyone else… MERRY CHRISTMAS! Thank you for all you do all year long…and thank you for sharing your time with me. From my family to you and yours…. Merry Christmas and Happy New Year! Thanks for reminding us to back away from the computer when it’s time to enjoy the really important things in life. We can all go back to creating new content and bemoaning the latest search engine changes after we have a joyful holiday with family and friends. After all,isn’t more time with family and friends one of the major reasons we all started trying to make a living on the internet? 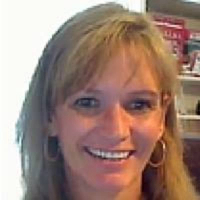 Thanks Jennifer,for all you do to help those of us who still struggle to make a living online. Please know that you are appreciated. Merry Christmas and Happy 2010 to you and your family. I know you’ll enjoy your first Christmas with with little Hanna. May you had a blessed holiday too as I had with mine. I did took my hands off the computer for Christmas. It just comes once a year and I spent it with the people I love. I also love my work but then, they can wait, just for one day. Allow me to greet everyone Belated Merry Christmas and A Prosperous New year. I spent Christmas holidays with my family and love ones although I was able to work 2-3 hours a day then the remaining hours were spent with my family. I just love spending time with them especially during holidays because that’s the only free time we have where we can spend time and catch up with each other. I am a very family oriented person and I can say I had a great time this Christmas season..very well spent with the person I truly love. Have a blessed new year to each and everyone. Happy 2010 to all of us. May we all have a blessed and fruitful one as we start this year. Christmas season was great, we had a reunion and it was awesome indeed to be with relatives. For the record the whole Christmas season was a computer -free season for me, I just considered it as a family time, work related can wait.